I got into The Flaming Lips when this album exploded, oh ten years ago now. It still transports me to a bouncy castle drug world like the Beatles’ Yellow Submarine movie did. 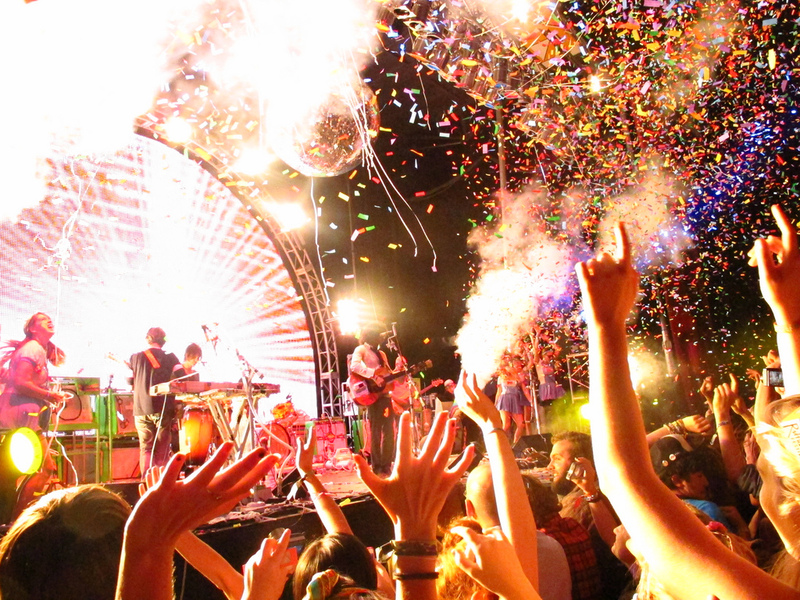 The Flaming Lips started as a kind of punk psychedelic band and melted into their own unique form of electronic fuzz and head music. They were recently almost ruined when Men’s Journal decided that going to one of their concerts was “a bucket list” experience and their sheep subscribers swarmed in droves, in search of a life-affirming event they could purchase on Ticketmaster. Their concerts are a trip, they have fun with the audience and throw giant bouncy balloons, and singer Wayne Coyne crowdsurfs in a huge hamster ball. It’s a good show. I was sober, so I didn’t merge with the infinite or excrete enlightenment rainbows. I had a good time. So check out Yoshimi Battles the Pink Robots and The Soft Bulletin before delving into headier stuff like At War with the Mystics and Zaireeka (4 discs meant to be played at once). Hit to Death in the Future Head is good too. If you require more of a rock sound, start there and with their earlier albums. I’ve listened to this piece of music thousands (literal assessment) of times. And, hard to be believe, nothing else by them. Not sure why? !